Heavy-duty concentrated liquid formulated with bleach to quickly remove carbonized soils such as blood stains from floors, walls and food processing equipment. 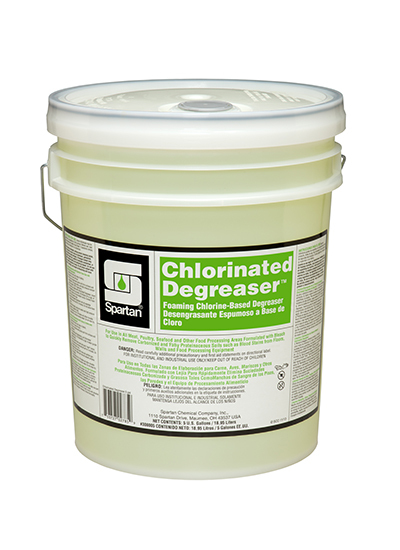 The bleach cleaning action of Chlorinated Degreaser is high foaming and great for fast grease release. Safe to use on aluminum, galvanized steel and stainless steel and works well in hot or cold, hard or soft water.